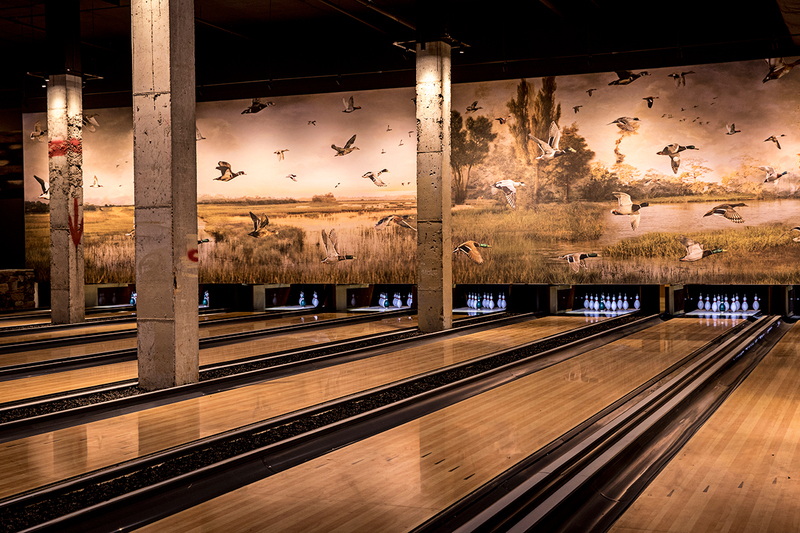 While the Painted Pin offers more traditional pub games like darts, ping-pong, and bocce, the Painted Duck focuses on esoteric, old-school games. 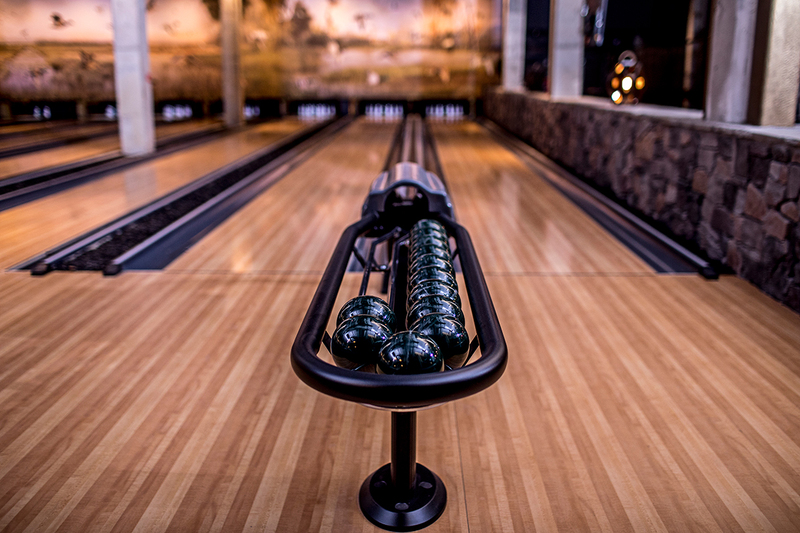 Duckpin bowling uses bocce-size balls, shorter and fatter pins, and permits three rolls per frame (as opposed to two in ten pin bowling). 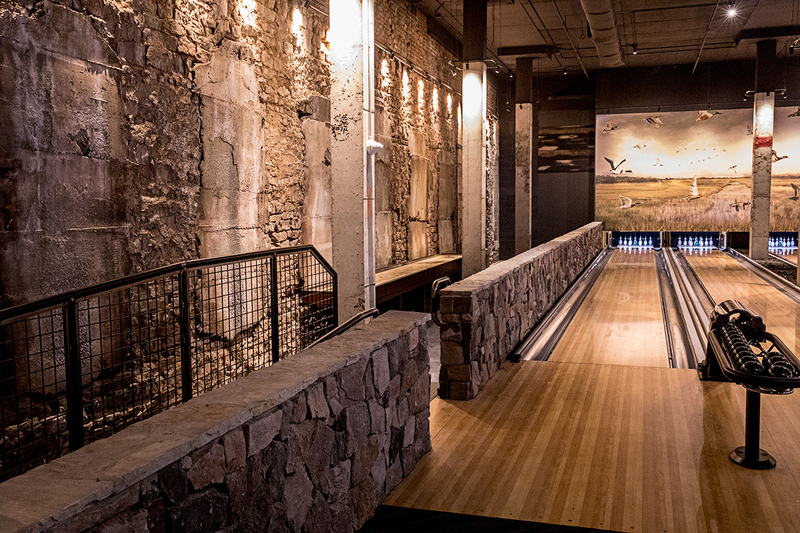 There are also two lanes of Belgian feather bowling, similar to bocce, in which guests roll a ball toward a feather—in this case, a duck feather. 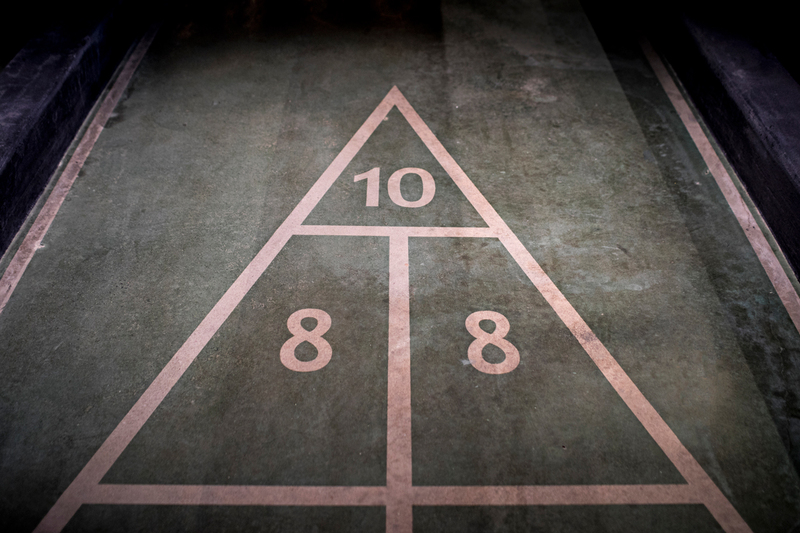 Get ready for snookball, a combination of pool and soccer, played with your feet, and knuckleball, which Amick explains as “an adult version of whackamole.” There’s also toad in the hole, a British pub game in which players throw brass coins into a hole. 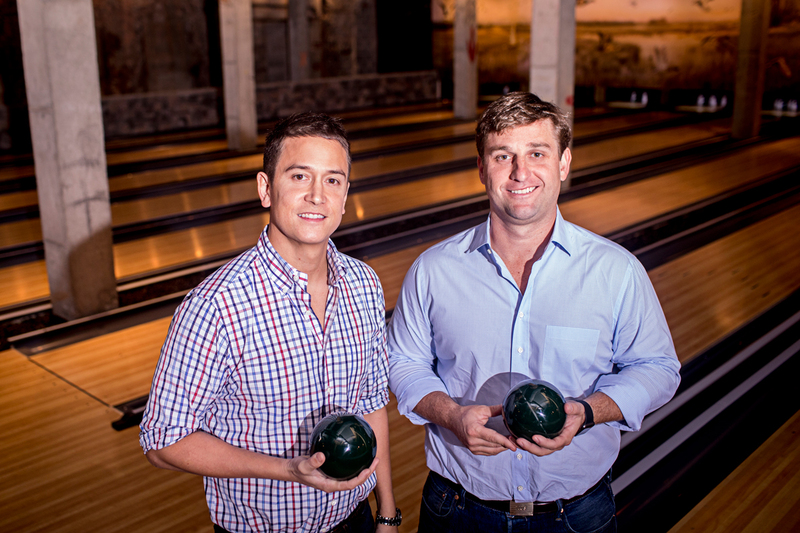 Guests may be more familiar with shuffleboard, air hockey, basketball shootout, and horseshoe. Amick describes the location, near Donetto, as a “cool, industrial warehouse basement.” At 26,000 square feet, the space is larger than that of the Painted Pin with taller ceilings. The decor is “Game of Thrones-meets-waspy hunting lodge.” Like at the Painted Pin, the exterior sign is subdued—just a logo in neon, vintage lights. 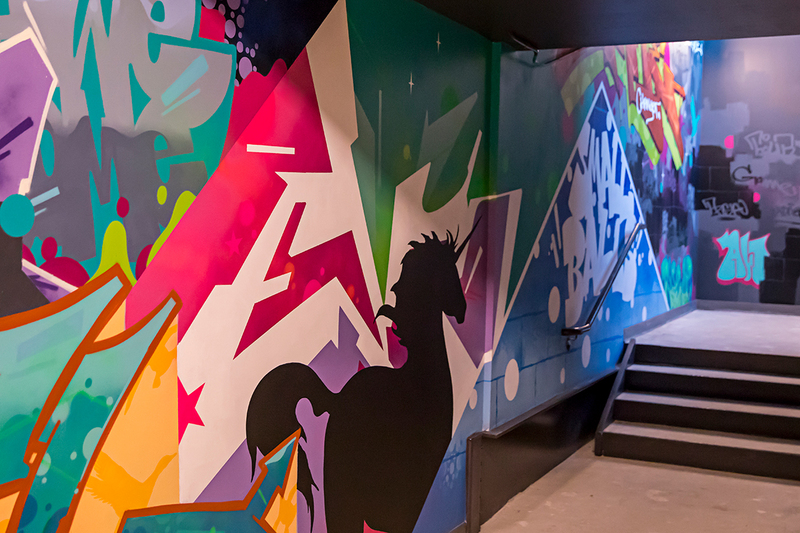 Guests enter through green double doors leading down a black-lit, graffiti-covered hallway (painted by Atlanta artist Ben Janik) to a cavernous space surrounded by natural stone. There are herringbone floors, five open-flame chandeliers, and a lot of leather and bright colors. 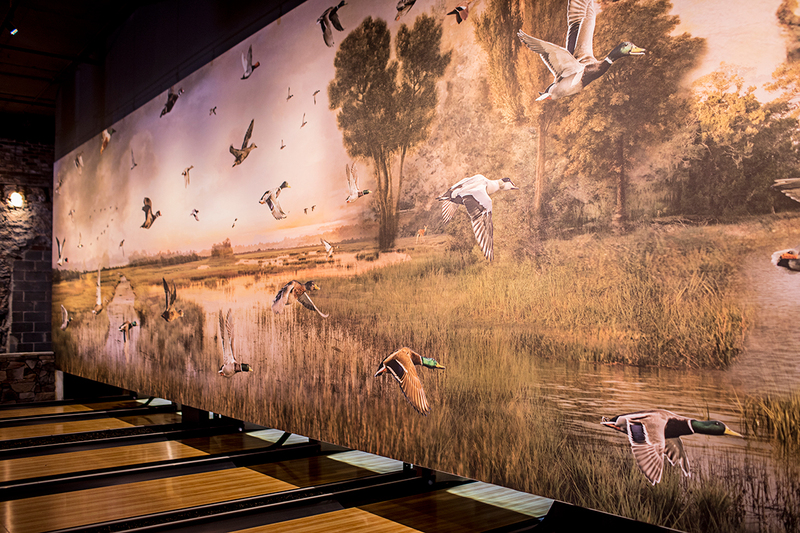 There are 16 duckpin bowling lanes, and the centerpiece backdrop is a 50-foot mural of migrating ducks created by artist Todd Murphy. 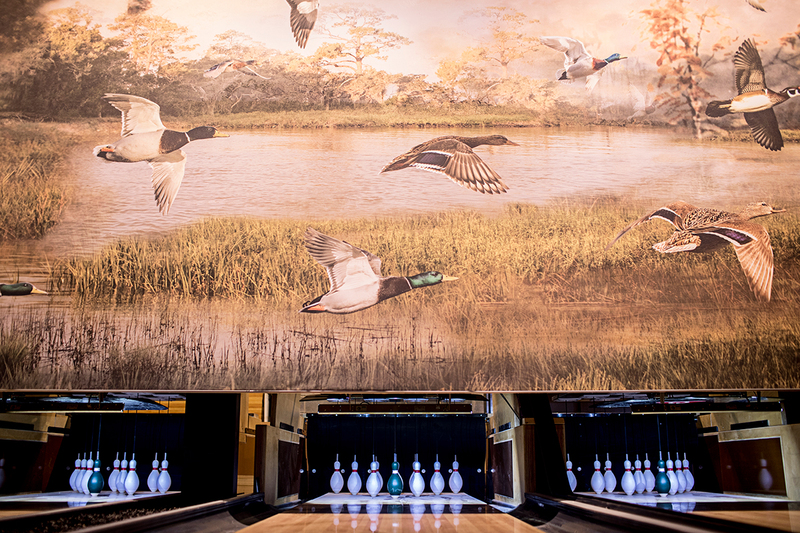 Layered fabric and canvas are designed to make it look as though the ducks are flying out into the room. There’s also a bandstand and dancefloor. Expect wedding-style bands to play on weekends. Other design elements are more hidden, inviting guests to explore every nook and cranny for further entertainment. Touted as a bar first and entertainment establishment second, the Painted Duck will serve classic cocktails (some more obscure than others) such as sherry cobbler, penicillin, jungle bird, black thorn, aperol spritz, honeymoon, Mai Thai, and Singapore sling. 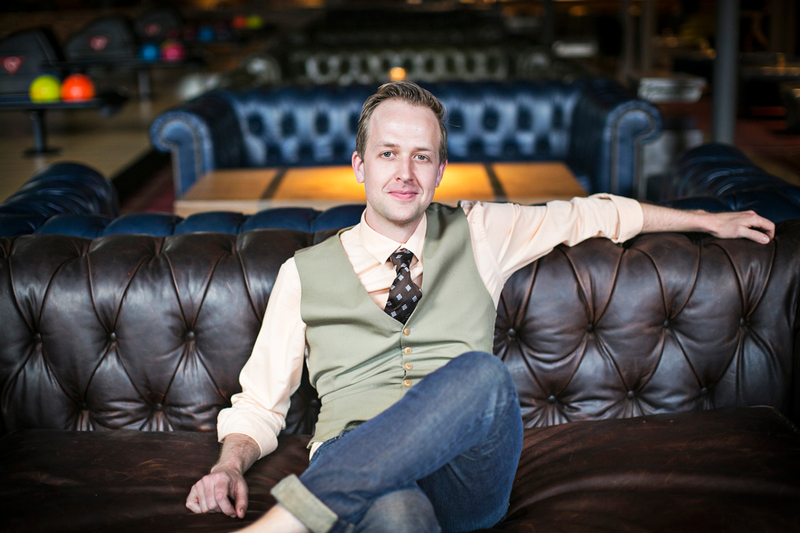 Trip Sandifer, Painted Hospitality’s bar manager, is curating the cocktail list. He and Amick are keeping the signature drink secret for now, but Amick admits it’s a riff on a fellow Atlanta establishment’s famous nonalcoholic drink, served in branded cup. 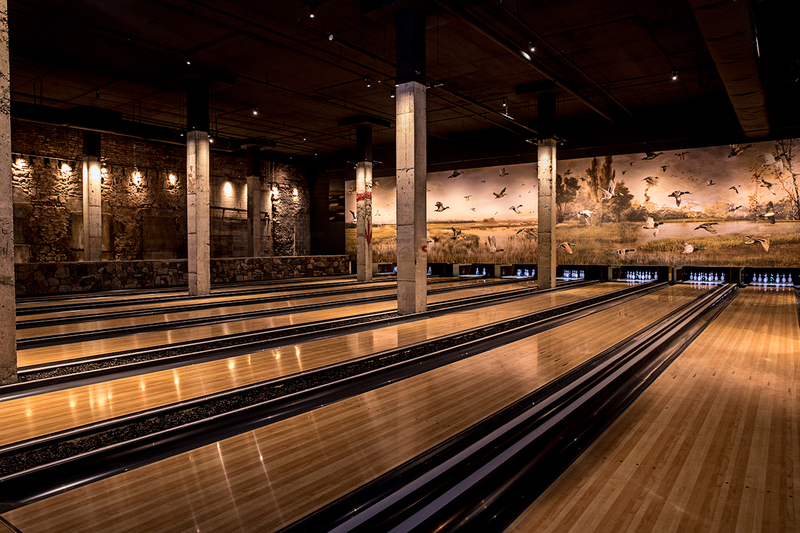 It will be frozen and awarded free to everyone who gets a strike while bowling. There will also be two Tiki-style drinks served in a custom Tiki mug, in addition to local beers on tap and craft beers served by the bottle and can. Sixteen wines will be served by the glass. 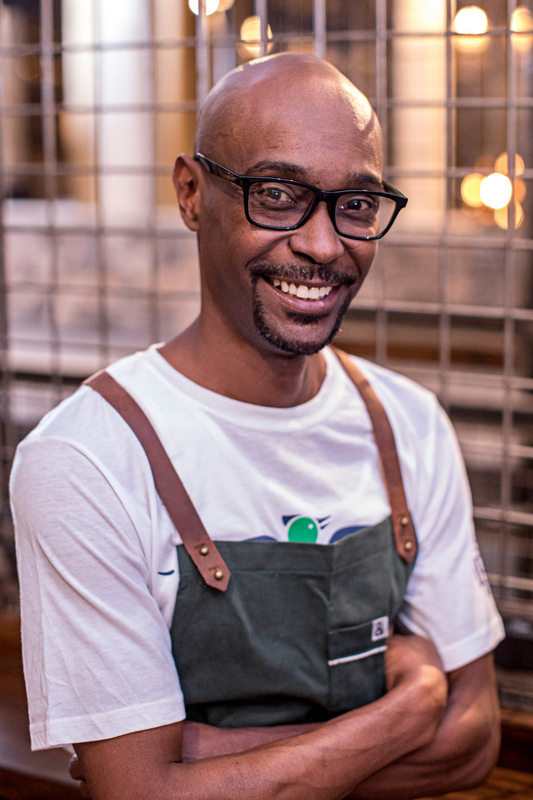 Executive chef Thomas Collins designed a menu of backyard bar fare. Expect duck-fat fries, beer-battered onion rings, fried chicken skins, housemade Cracker Jacks, beef jerky, and whiskey-glazed turkey legs (like the ones you’d see at a carnival). There will be smoked salmon dip, spinach and artichoke dip, loaded tater tots, salads, sliders, and French bread pizza. 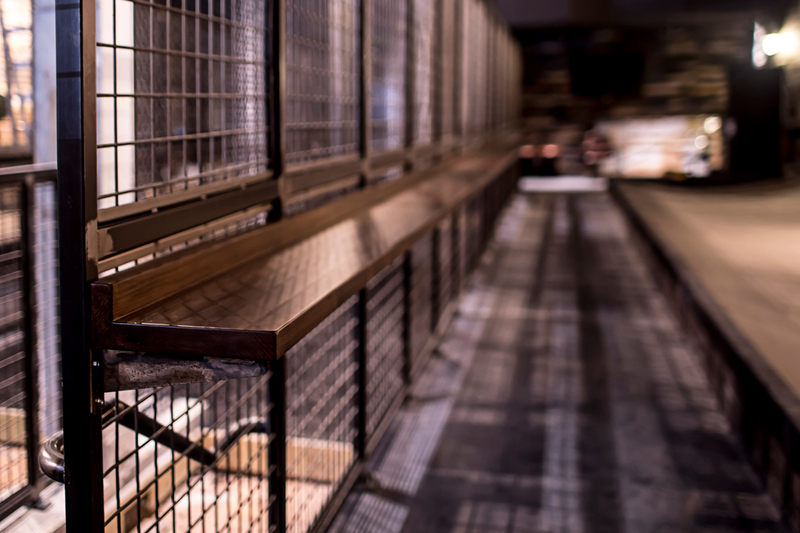 Quills, or skewers cooked on a wood-fired and coal-fed grill, will come in options such as Peruvian filet; ahi tuna; Alaskan king crab; pork and pineapple; chicken thighs; and vegetable. Amick says he’s looking to grow the Painted concepts throughout the Southeast, and is looking at locations in Tennessee, North Carolina, Florida, and Texas. 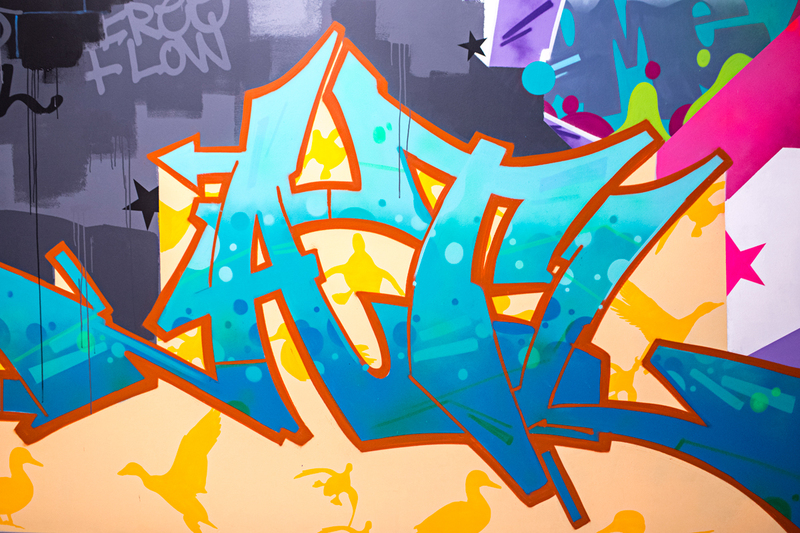 He also has other concepts in the works for Atlanta, but no details on those yet.